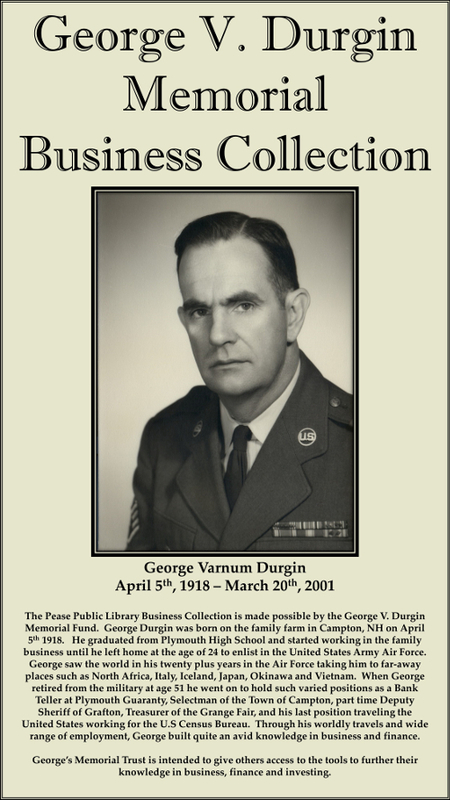 Our Durgin business collection is made possible by the George V. Durgin Memorial Fund. George, through his worldly travels and a wide range of employment, built a tremendous knowledge in business and finance. George’s Memorial Trust is intended to give others access to the tools to further their knowledge in business, finance, and investing.